Martin ruby was selected most valuable player in the Southwest Intercollegiate Conference in 1941. He graduated from Texas A & M the following year and played in three bowl games before entering the armed forces during World War II. Ruby came to the Saskatchewan Roughriders in 1951 after playing several years with the Brooklyn Dodgers and the New York Yankees. During his seven years with the Roughriders, Ruby was a perennial all-star and three times was chosen on both the offensive and defensive squads. 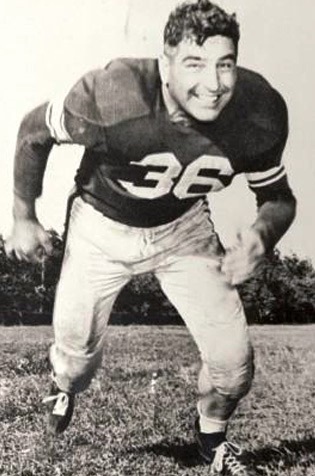 Canadian Football Hall of Fame member Jackie Parker, rated Martin Ruby as the greatest two-way football player he had ever seen or played against.